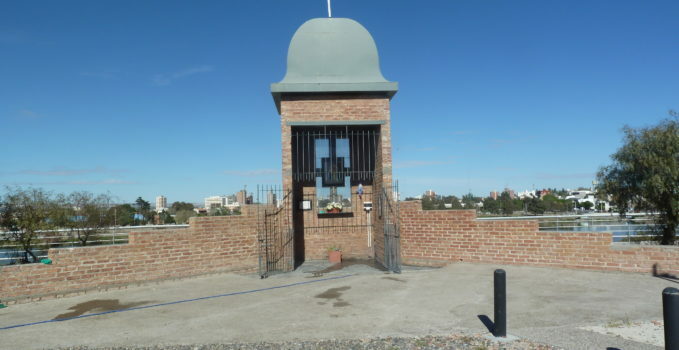 “Every Sunday Mass of the Community of Our Lady of Schoenstatt from Trelew is celebrated in the Planetarium, Fr.Fabián celebrated the Mass, December 9th at 7:00 pm, and announced that as long as there was good weather, the Mass would be offered there every Sunday, which filled us with joy. Among the faithful who participated, families from Barrio and some missionaries attended. We were very happy for the Blessed Mother’s gift, for the celebration of the Wayside Shrine commemorating its blessing on December 8th twenty-nine years ago by Fr. Esteban Uriburu, who called it the “Cathedral Wayside Shrine.” The pastor at that time was Fr. Christian. 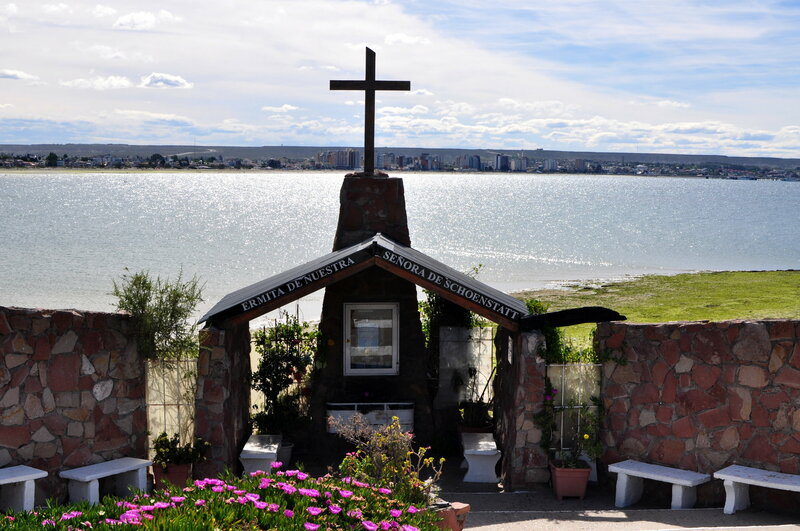 On December 8th, we gathered in the Wayside Shrine, and as we prayed the rosary, we went on pilgrimage to Immaculate Chapel, where we met with the entire community of Trelew. The Holy Spirit was present, breathing encouragement and strength in us to counteract all adversity in the intense wind that arose. 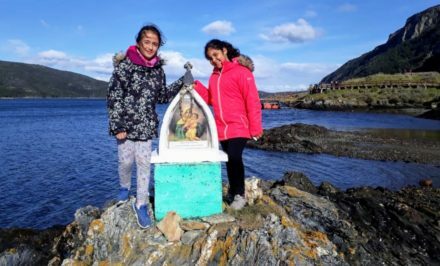 We are very grateful for the importance that has been given to Rosary Campaign and the Wayside Shrine within the community of the Trelew Parish. 30 years —Puerto Madryn Wayside Shrine—how did we move all that rock? Graciela Freytes relates: “It has been thirty years since the Wayside Shrine was established. It is incredible; it has been such a long time since the beginnings of nine couples moved by the Blessed Mother to build this place of grace. I remember one of the many stories experienced: some stone was needed for its construction, and we all went with an immensely heavy-duty truck…and we thought how we would do it, since women, and our young children also went. We left very early that morning and when we arrived there, we began the Blessed Mother’s work, we told her to work miracles… and that is how it was. By noon, the truck was full of immense stones, and as of today, we still wonder how it was done. 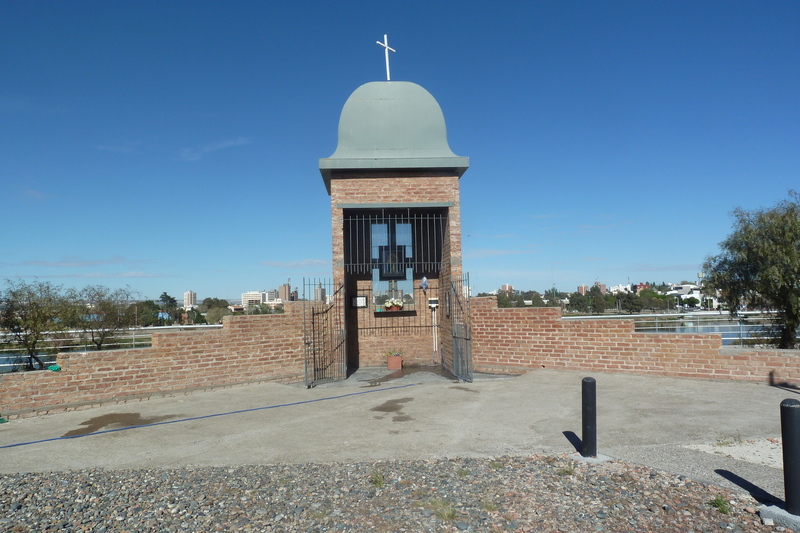 Barrio San Pablo Wayside Shrine is the first one in Rawson; it was blessed on 8 December 1985. At that time, the family went on mission along with Fr. 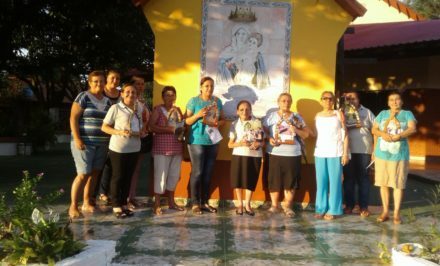 Roman Dumrauf in Gamela del Barrio San Pablo, and from this emerged the need to establish the Blessed Mother’s Wayside Shrine in the area. 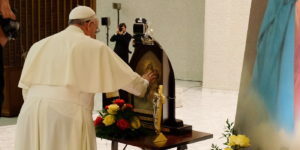 In April 1986, the Blessed Mother was crowned as “Queen of the Desire for the Shrine.” And during the second Patagonia Gatherings in 1988, the Blessed Mother was crowned as “Queen of the Promised Land,” with the presence of representatives from all Patagonia’s communities. Some of the first Covenants of Love were held in this Wayside Shrine, Missionaries, Mothers, Girls’ Youth, Couples sealed their commitment with Mary. Generally, the Mass is celebrated twice a year from there our Mother continued to radiate her graces for Rawson and the whole area. 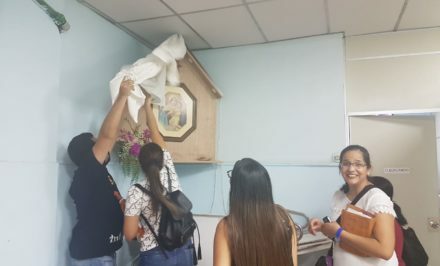 People from the neighborhood worked on its construction, remembering among them the families from Selva Andrade, Núñez, Bogarín, Sánchez, and all those who contributed their work and capital of grace so that Mary would establish herself in this place. 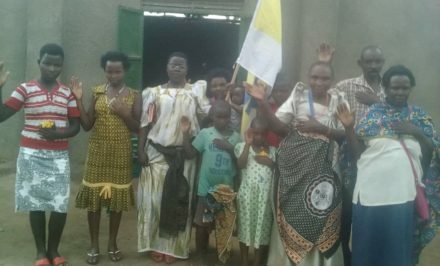 Until now, some of these families and others who have joined continue to work and to take care to keep this place of graces where Mary is Queen. We thank God and the MTA for thirty-three years of loyalty and presence in Bº San Pablo. 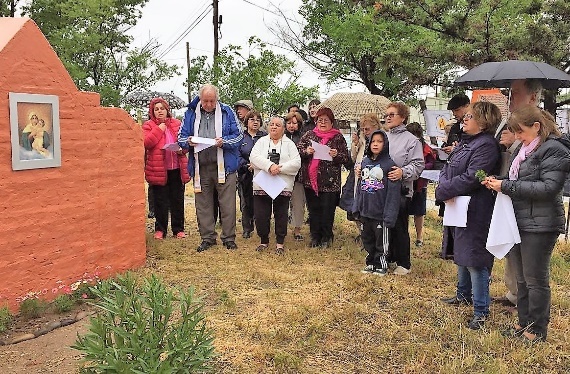 In this small and humble corner of Rawson, the desires and offerings of the pioneers and the first forgers of the Rawson Schoenstatt Family, from Valle and Puerto Madryn are kept in the wayside shrine that has been renovated and given a facelift. A rosary is prayed every third Saturday of the month. We invite everyone to visit the MTA there and not to leave her alone.